This model (AKA Asus ZB633KL) sports one of the widest screens in Asus's 2018 mid-range catalog, in the form its a 6.3-inch 19:9 HD+ (720p) facade, and it is powered by a robust battery (4000mAh), which is a staple facet for Asus's Zenfone Max family. Also, it just about hits the 2018 mid-end benchmark with its AI-aided 13- plus 2-megapixel main camera. Also known as: Asus Max (M2), Asus ZB633KL. 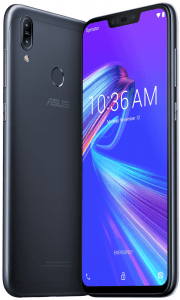 On-paper Pros & Cons The Zenfone Max M2 runs on a 1.8GHz-only octa-core engine, but it also offers a 4000mAh battery and a 6.3-inch 19:9 display. We unveil its other specs in this technical pros-and-cons analysis. 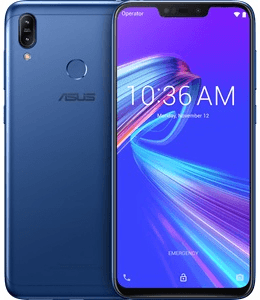 (more) ASUS phones 2019 View all the new ASUS phones.